The UGAPM Series Process Monitoring Systems are modern mass spectrometers designed for the analysis of process gases. They operate from 20 Torr to 1 mTorr.The inlet continuously samples gases at low flow rates (about 5x10-5 mbar L/sec) making the instrument ideal for on-line analysis. The UGAPM Series Process Monitoring Systems are modern mass spectrometers designed for the analysis of process gases. They operate from 20 Torr to 1 mTorr. The inlet continuously samples gases at low flow rates (about 5x10-5 mbar L/sec) making the instrument ideal for on-line analysis. UGAPM applications include CVD/PECVD/RIE/LPCVD/MOCVD, vacuum coating/ plasma etching, evaporation, sputter deposition, vacuum heat treatment, target burn-in, leak detection/ virtual leaks/ desorption, contaminatin studies, small volume analysis (0.1 mL range), etc. These analyzers are also simple to operate and maintain. All the components can be controlled from the front-panel or a remote computer. In UGAPM systems, a SS capillary of 1/16” or 1/8” OD is used to accommodate mid-vacuum sampling. With this configuration, there is almost zero dead volume between the process chamber and the analyzer. The UGAPM system uses a single stage capillary pressure reducing inlet to sample gases from 1 mTorr to 20 Torr. After the pressure is reduced to around 10-6 Torr, the gas stream is sent to a mass spectrometer (residual gas analyzer - RGA) which measures the concentration of each mass of interest. The UGAPM Windows software provides a graphical user interface for complex graphing and data analysis. The software also allows remote control of the system’s valves, heaters and pumps. An optional multiple inlet valve is available with two possible configurations. One is the multichannel configuration, which may be applied for one specific sample pressure at various places. The other is the multi-range configuration, which may be applied for various ranges of the sample pressure. 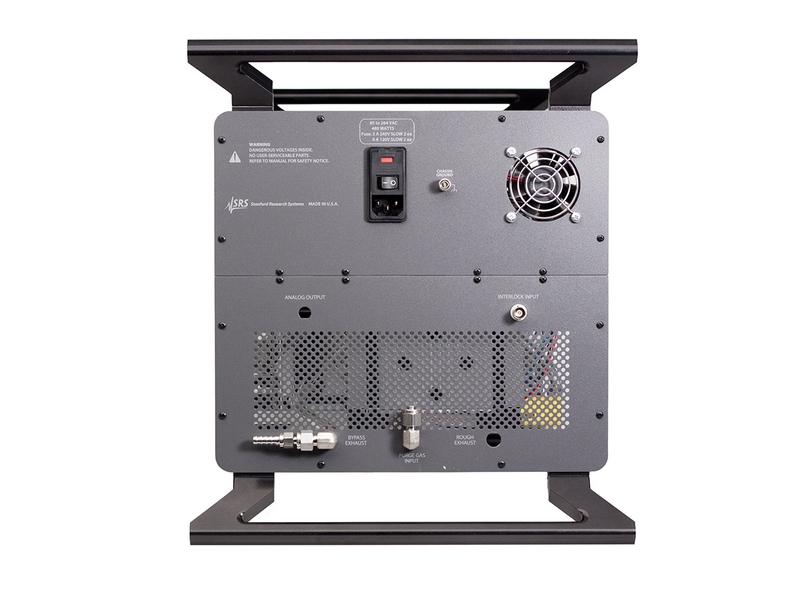 The UGAPM system can be controlled from the front-panel or from a computer. A choice of manual or auto-control of all system components is provided. Data is measured and displayed using the UGAPM software. The intuitive user interface allows measurements to be made quickly and easily. Data is captured and displayed in real-time, or scheduled for acquisition at a specified time. Features include analog and histogram scan modes, pressure vs. time plots, leak detection, gas library, and on-line help. RGA parameters can also be controlled and monitored through a high-level ASCII command set. Standard RS-232 and Ethernet interfaces are used as the data link to your PC. The UGAPM Analyzers offer the best value of any system currently available. They provide more performance, better features, and are priced well below the competition. Software Windows application. 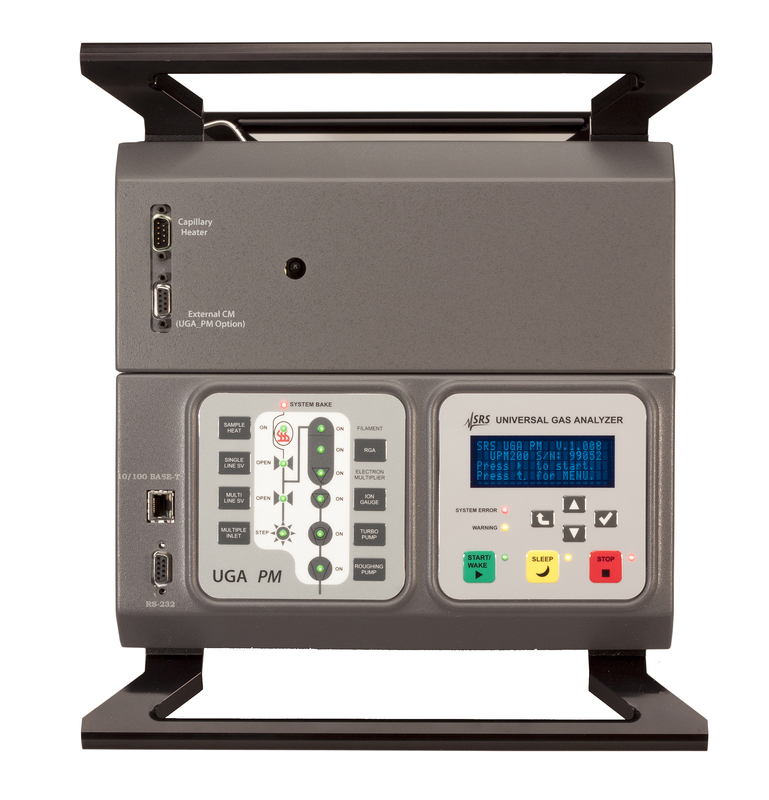 Controls UGAPM system including RGA. Warranty One year parts and labor on defects in material or workmanship. Pump seals and diaphragm warranted for 90 days.